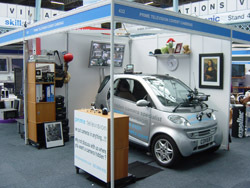 Prime Television has been the UK’s leading supplier of broadcast minicams and robotic cameras for nearly fifteen years. In that time we have supplied a wide variety of specialist minicameras and remote control heads to a whole host of broadcasters and independent programme makers. In fact, as a company, Prime has done more Minicam shows for Entertainment and Drama programmes than anyone else in Europe. So, in the brief history of Minicam Productions for Television we have seen it, done it, got the t-shirt and ironed out problems …and perfected the service. When it comes to minicams and Remote Heads (P&T’s, PTZ’s), we know what we are doing. 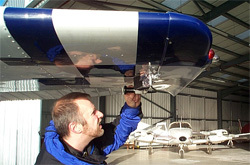 Our Minicams have been used either as single camera units (one-off specialist shot) for an undercover surveillance element, as on-car/motorcycle mounted camera or a multicamera remote head and fixed minicam HD production. Our expertise in this field is well documented in the programmes we have worked; supplied cameras to all areas of the entertainment industry, including; reality shows, hard hitting documentaries, dramas, sports coverage, TV commercials and news and current affairs programmes. We supply full OB units that are minicam and remote camera specific as well as live streaming for radio stations from strategically placed minicams within their studios. Prime has the very latest Minicams from the top of the range HD Remote Head (Pan & Tilt or PTZ) cameras, like the Bradley HDC150 and Camball 3; to the very best HD Minicams like the Toshiba HD2 or IK-HR1 and specialist hidden and pinhole cameras now able to produce 1080P footage at 25P. 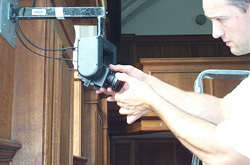 We know from experience, of often having to come in and pick up the pieces, that the quality of the Minicameras is only half the story, if you don’t have the expertise or rigging equipment to do the job properly you’ll not get the result you want from the minicams. That is why Prime offers FREE Minicam training days to Broadcasters and Indy’s with staff of 5 or more people attending (for more information click here). Prime are able to deploy large teams to work on complicated TV shows, where we combine the use of our minicams, robotic heads, PSC shooting, Jimmy Jibs and Polecams or hide cameras in just about any environment or item. If you are thinking of using Minicameras in your next production, in the form of hidden cameras, a multi-Minicamera production in a confined space, a reality show or undercover surveillance element, there is no better call you can make then calling Prime. We will talk it through, advise you about the technology that is available and train your staff if necessary. So whatever your Minicam requirement may be, you will only benefit by talking to Prime, that a promise!